Linux files for a running WSL distro are located at \\wsl$\<distro_name>. Since the 9P file server runs inside of each distro, it is only accessible when that distro is running. The team is looking into ways to help resolve this. The old rules still apply, you should NOT access your Linux files inside of the AppData folder! 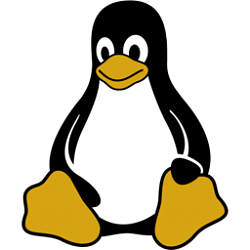 If you try to access your Linux files through your AppData folder, you are bypassing using the 9P server, which means that you will not have access to your Linux files, and you could possibly corrupt your Linux distro. 1. Open the WSL distro (ex: "Ubuntu") you want, and make sure your current folder is your Linux home directory. 1. Open a PowerShell or elevated PowerShell. 3. Type the command below into PowerShell, and press Enter to change to the WSL distro's directory. Substitute <DistributionName> in the command above with the actual WSL distro name (ex: "Ubuntu") you wanted from step 2. 4. Type ls at the prompt, and press Enter to list the directory above. 5. You can now access your Linux files as usual in PowerShell. Does anyone have any thoughts / experiences with apps that allow accessing Ubuntu ext3/4 file systems through Windows?